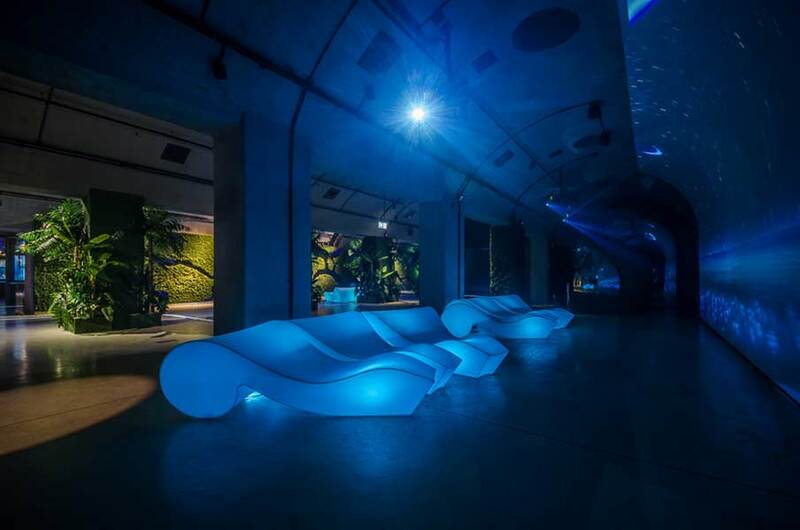 Rococò chaise-longues recall the waves of Hydropolis. 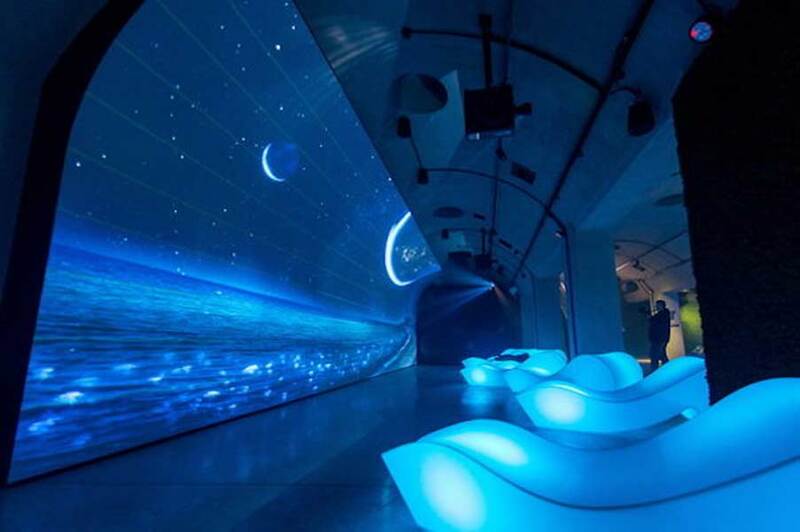 Hydropolis is a environmental education center entirely dedicated to water, one of the unique centres in the world. 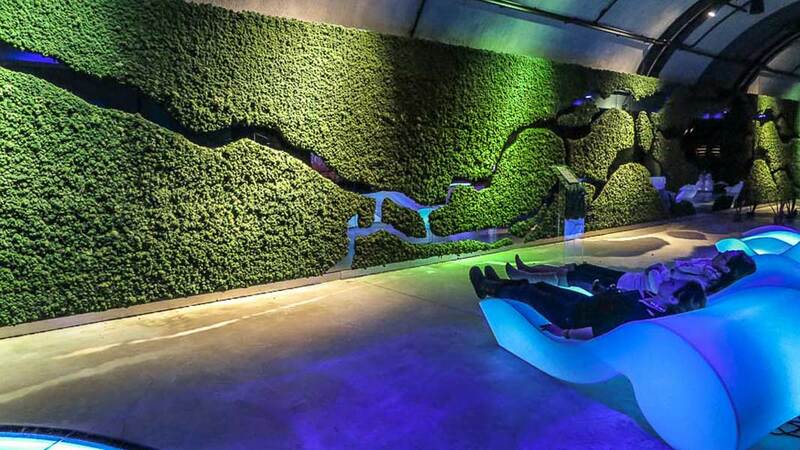 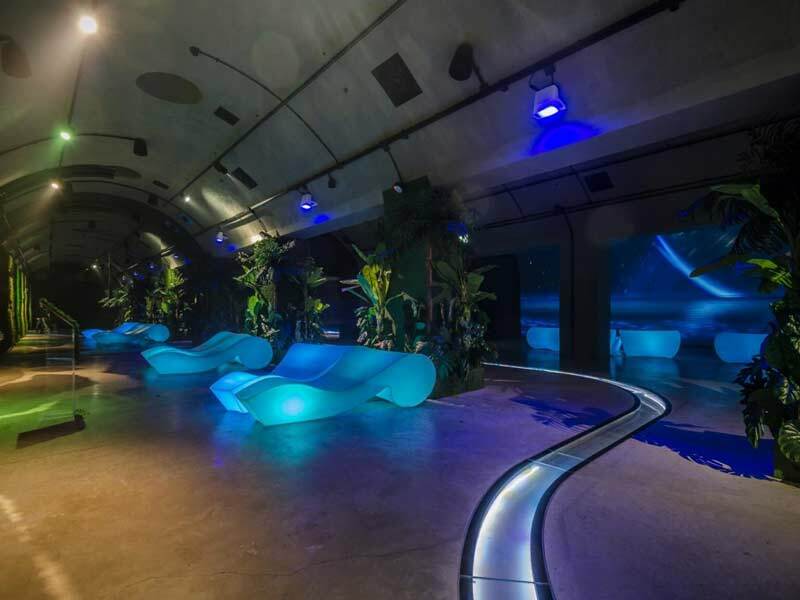 Inaugurated in Wrocław in 2015, the structure is an ultra-technological and interactive journey to discover the aquatic world and its preservation. 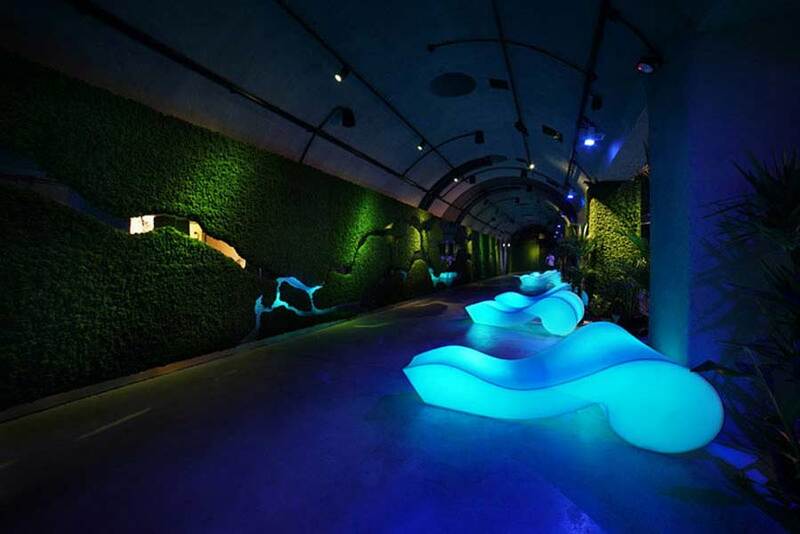 Its underground location makes the museum more attractive. 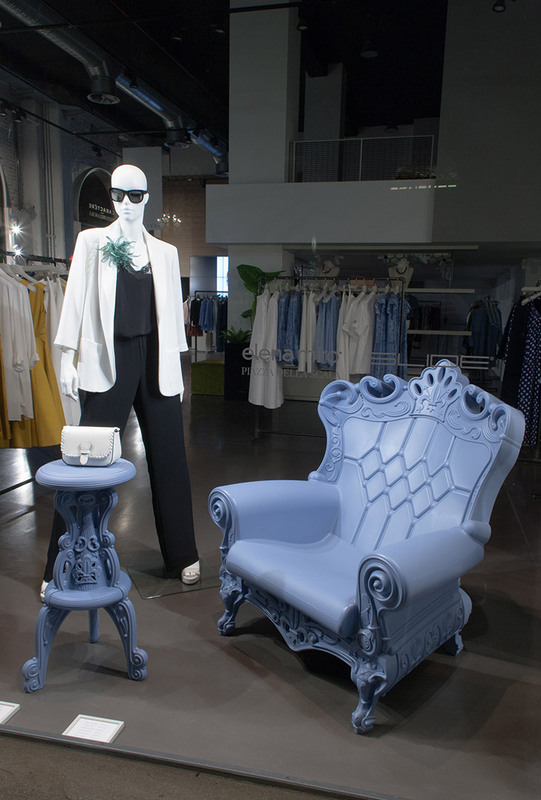 In the relax area of the centre there are Rococò chaise-longues, designed by Gianni Arnaudo. 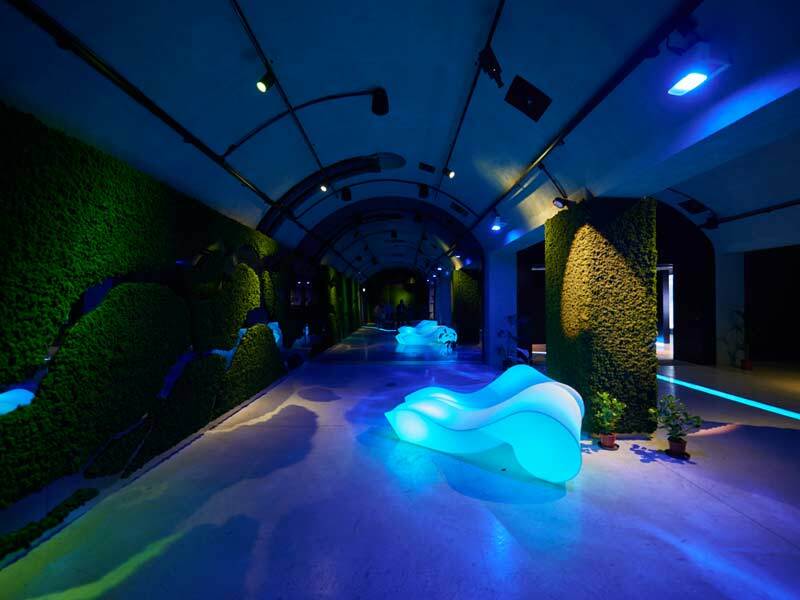 Their wavy shape and the light blue with which they are illuminated perfectly recall the theme of Hydropolis. 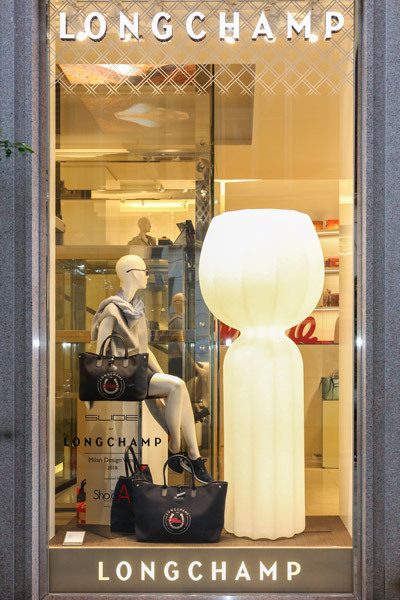 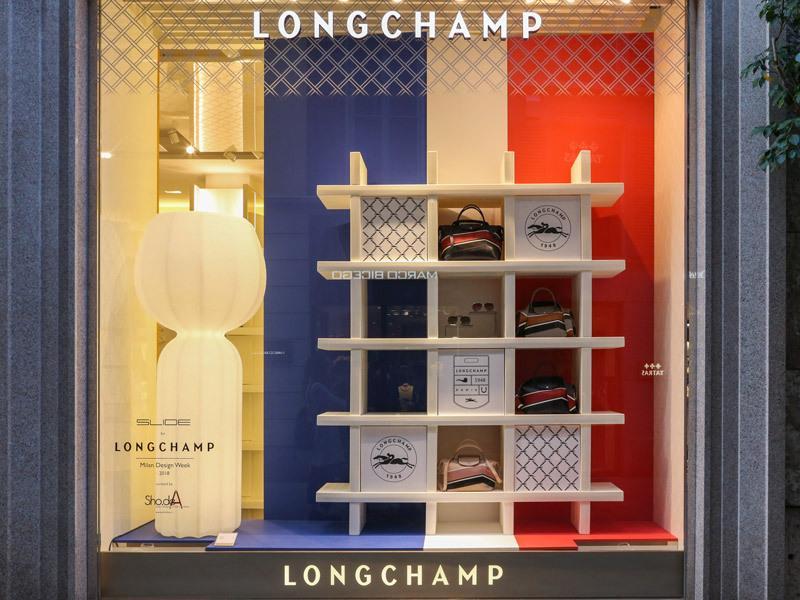 Slide furnishes the showcases and the indoor of Longchamp Boutique in Via della Spiga 6, Milan. 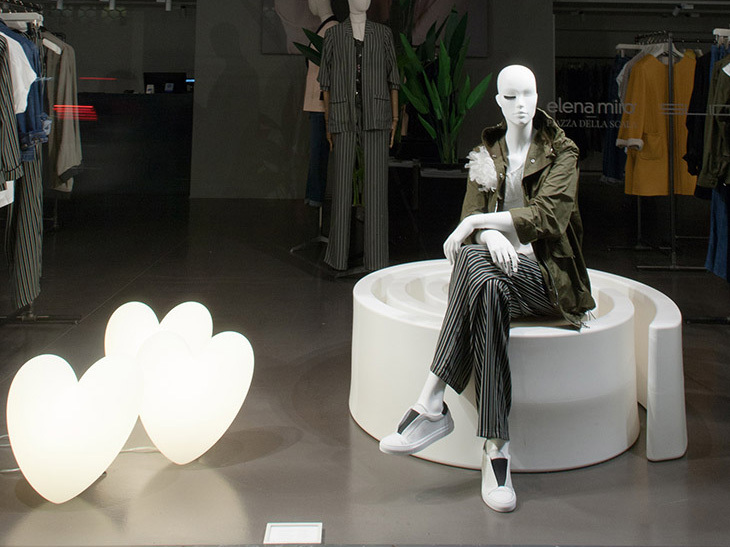 During Milano Design Week 2018, our novelties met Fashion in the heart of Quadrilatero della Moda in Milan. 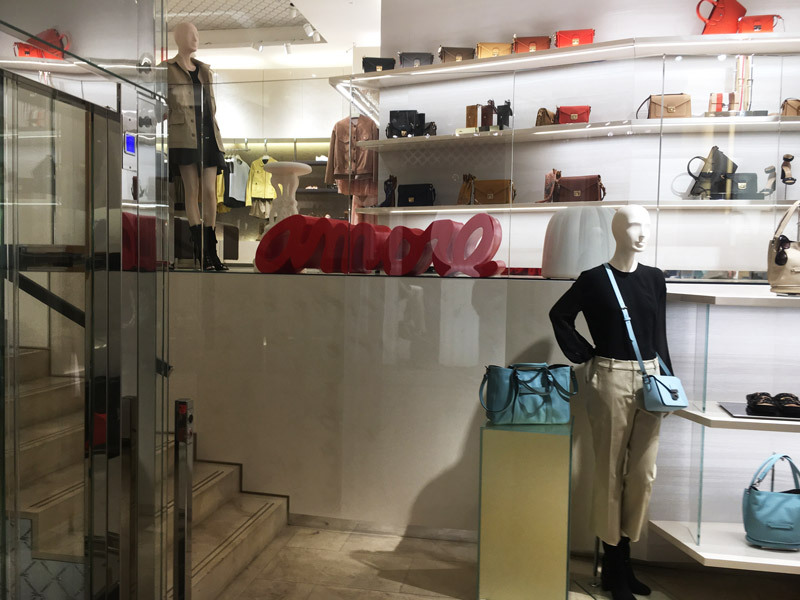 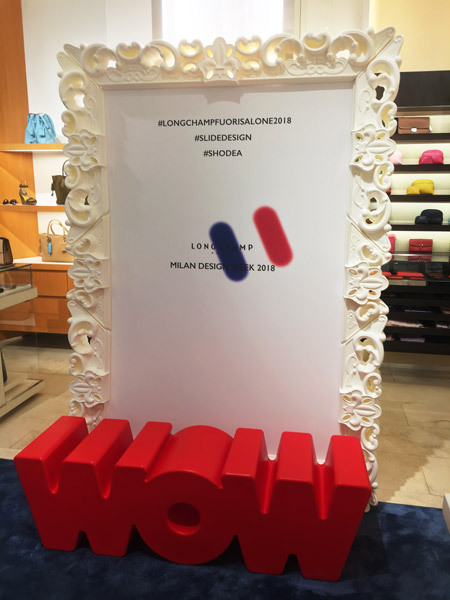 Some products of Slide new collection - as Cucun floor lamp by Lorenza Bozzoli and WOW bench by Kazuko Okamoto - enriched the showcases and the indoor of Longchamp boutique, next to iconic Slide products, as Amore bench, Frame of Love frame and Gelée pouf. 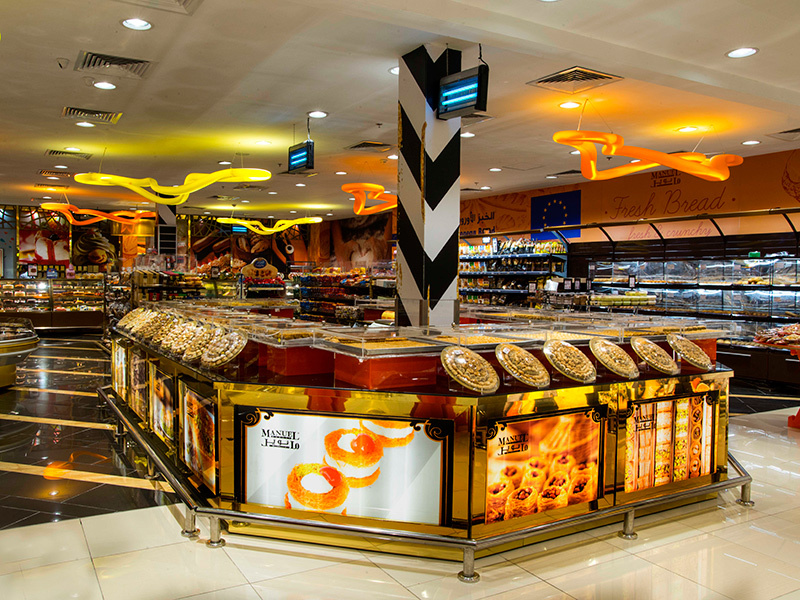 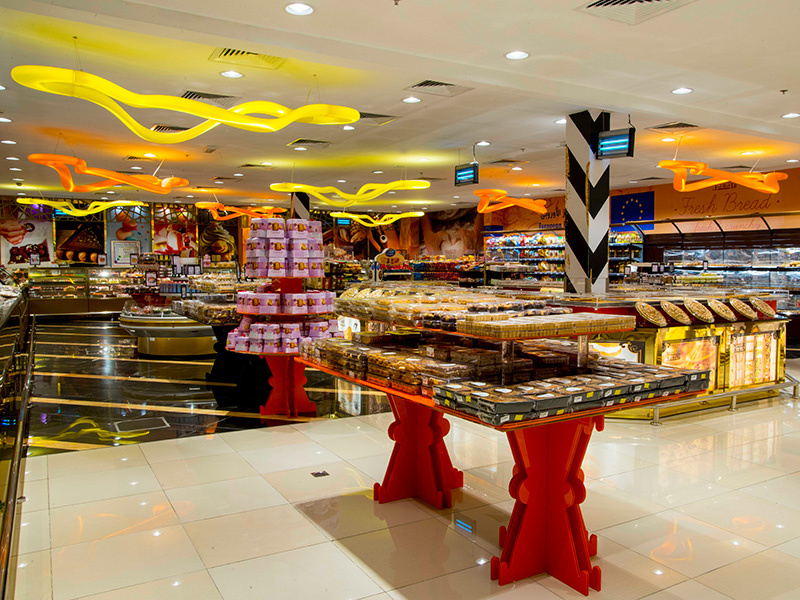 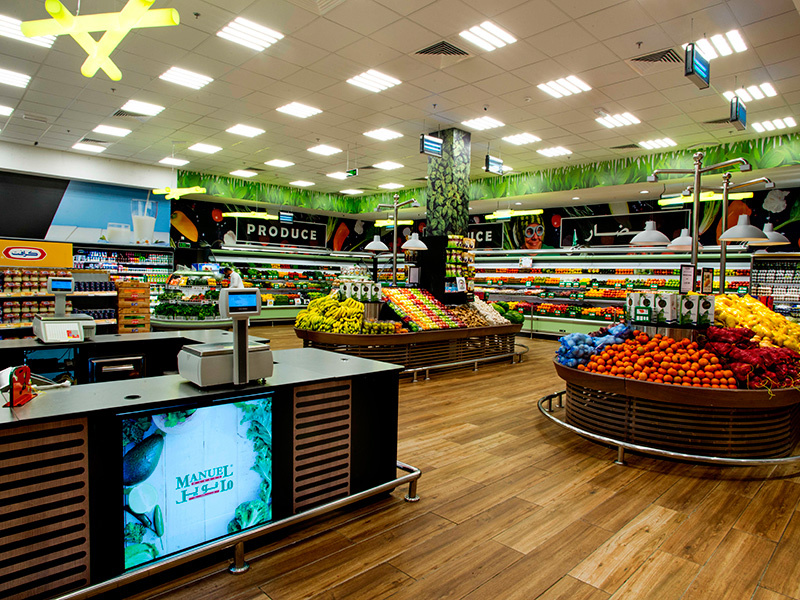 The famous supermarket chain in Saudi Arabia, dedicated to the luxury shopping, chooses Slide to light up the whole commercial area. 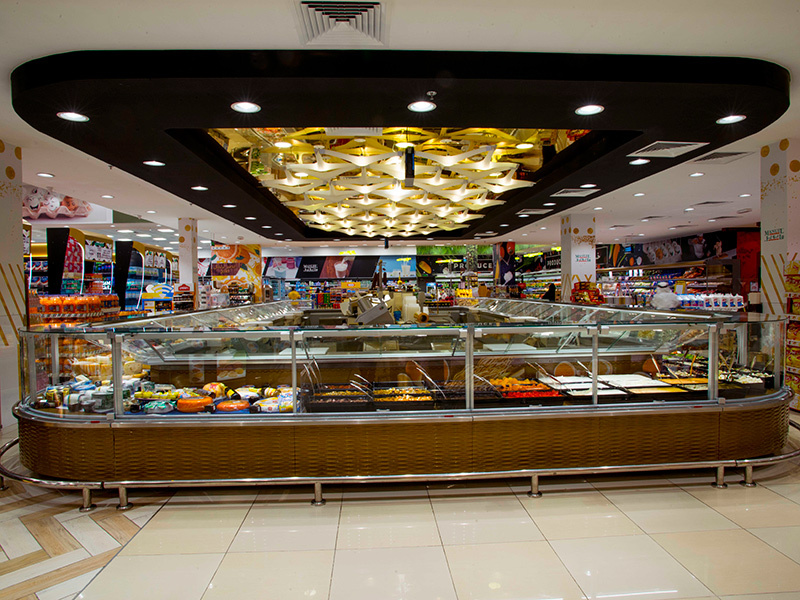 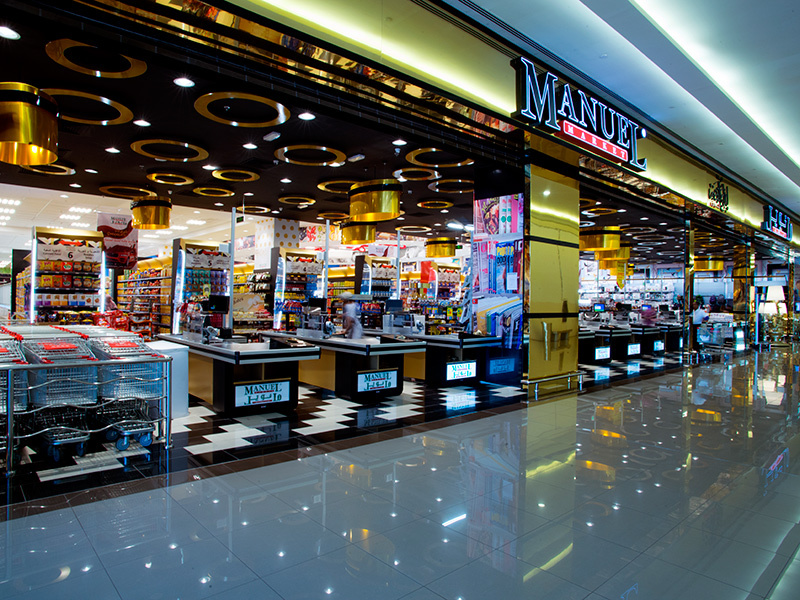 The touch of lighting design let Manuel Market to create an innovative settings, in which shopping becomes an unique experience. 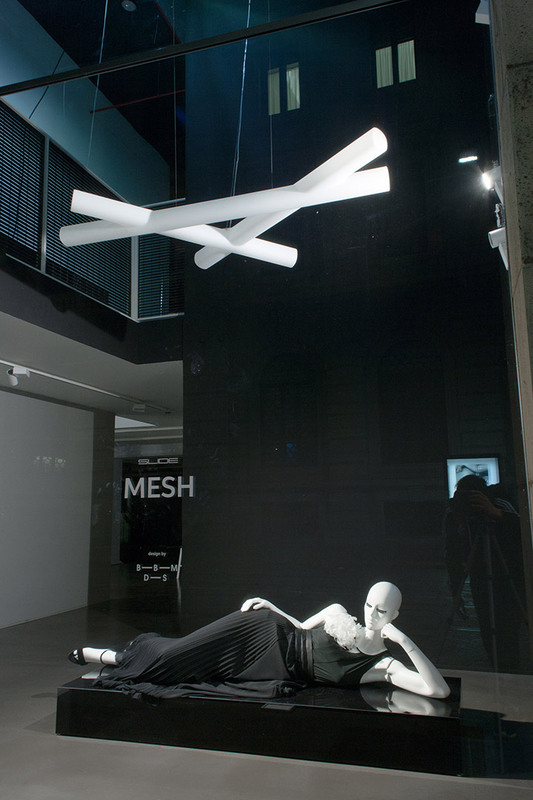 To realize this project, we cooperated with three different hanging lamps: the customized Knot, created specially in light yellow and light orange, the modular Kaleido and the new Mesh, in a custom made green version. 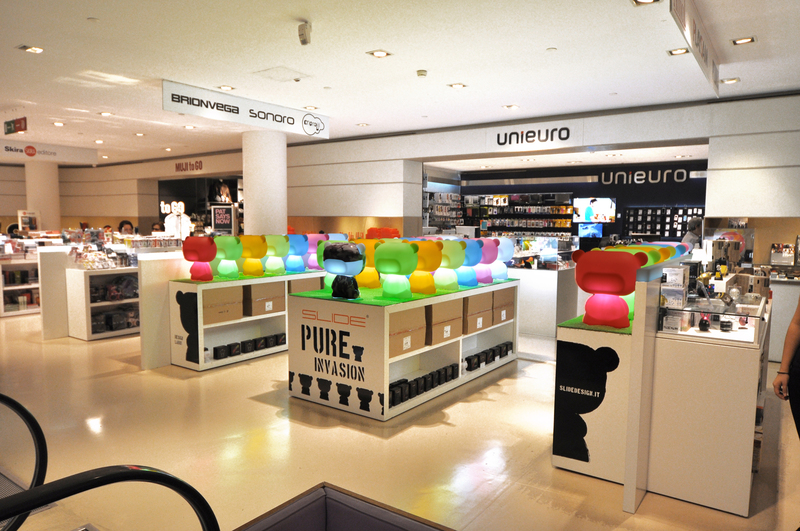 The Pure Invasion colours up La Rinascente shopping center in Milan. 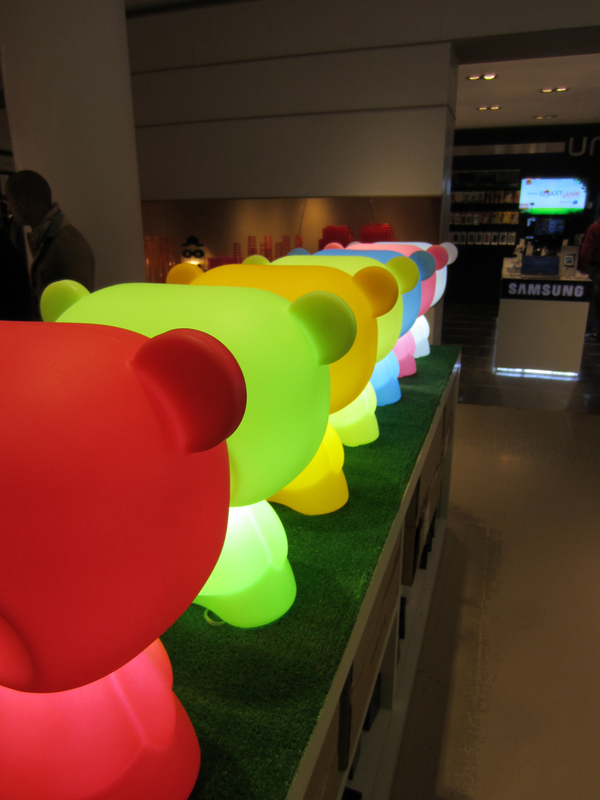 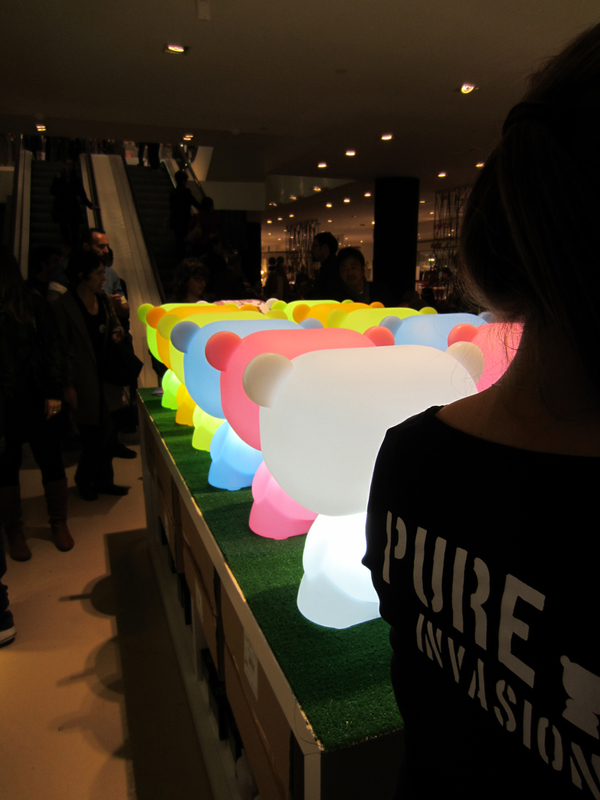 Pure is the tender lamp with the shape of teddy bear. 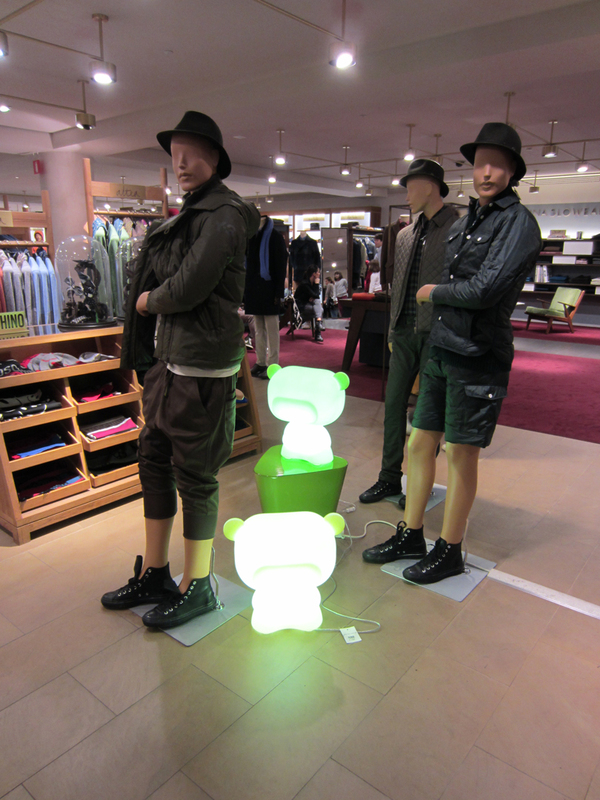 Pure is the protagonist of a colourful and funny army thad occupied the heart of La Rinascente shopping center in Milan for a few weeks. 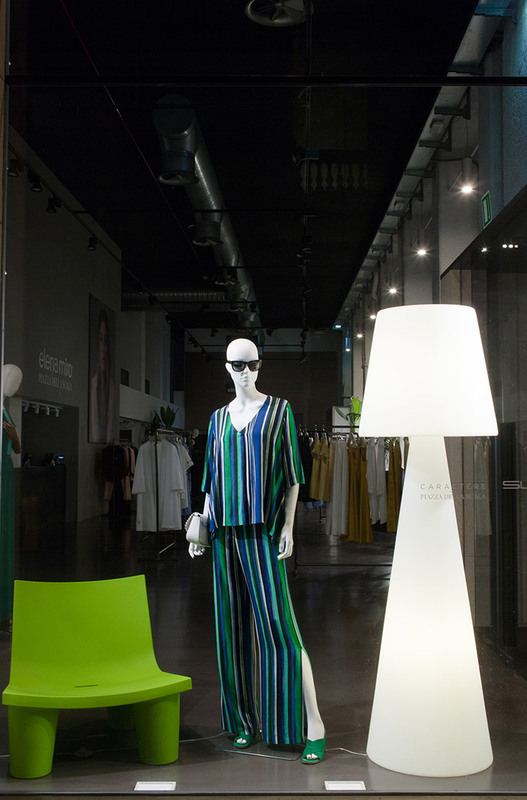 The Pure invasion created a playful and colorful corner, in which the table lamps were presented in the different colors on the catalog. 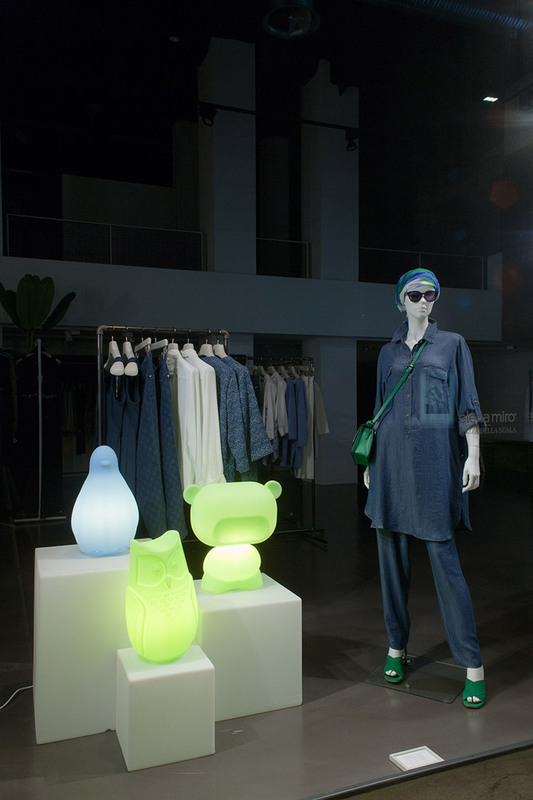 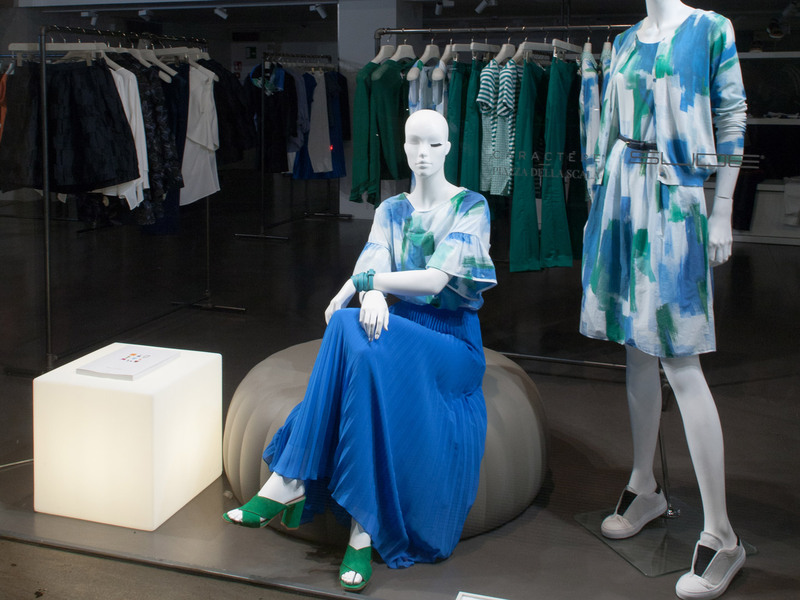 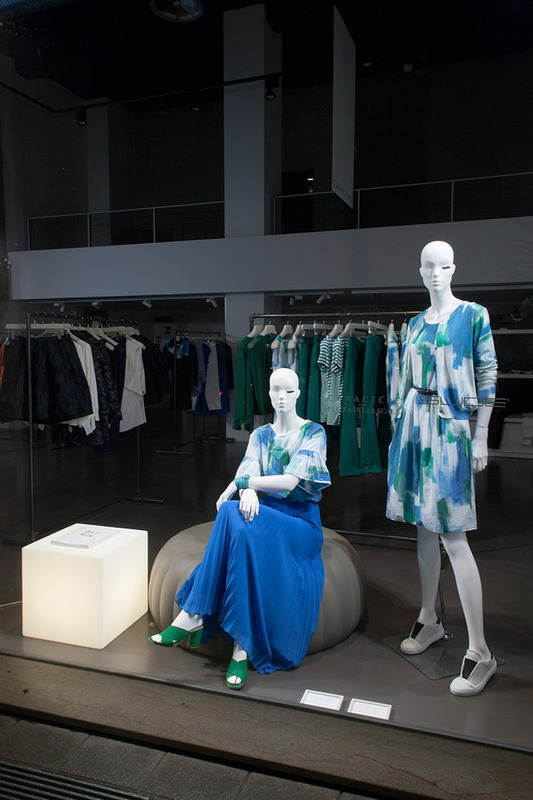 In Piazza alla Scala in Milan, Design and Fashion talk perfectly together in Miroglio Store displays. 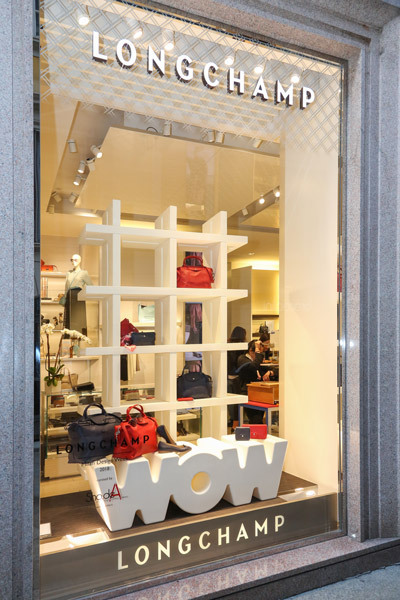 Next to one of the world's most important stage, Teatro alla Scala, Miroglio Store chooses Slide's products to set up its displays during Milan Design Week 2017. 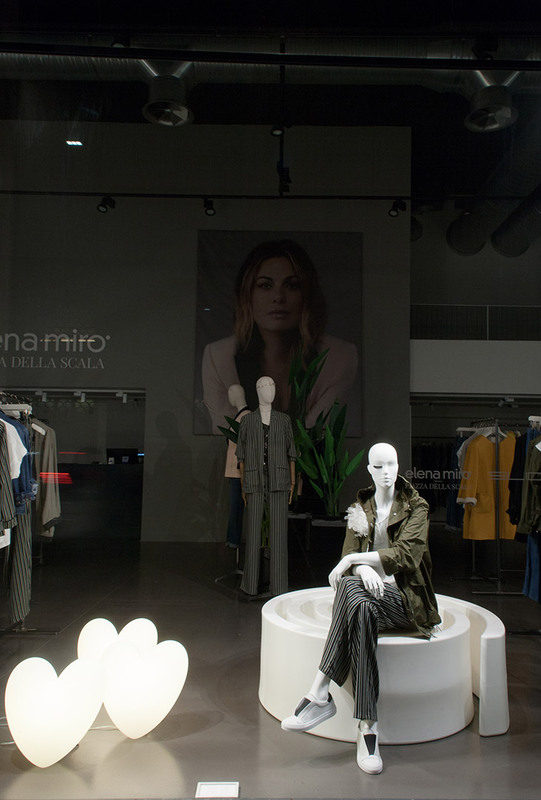 The displays of Miroglio Store became the stage on which our products were in dialogue with Elena Mirò dressed mannequins In this setting, Fashion and Design match perfectly together.